Okay, just what is this VE.TT link thing anyway? Well, it doesn’t have much to do with a Corvette. 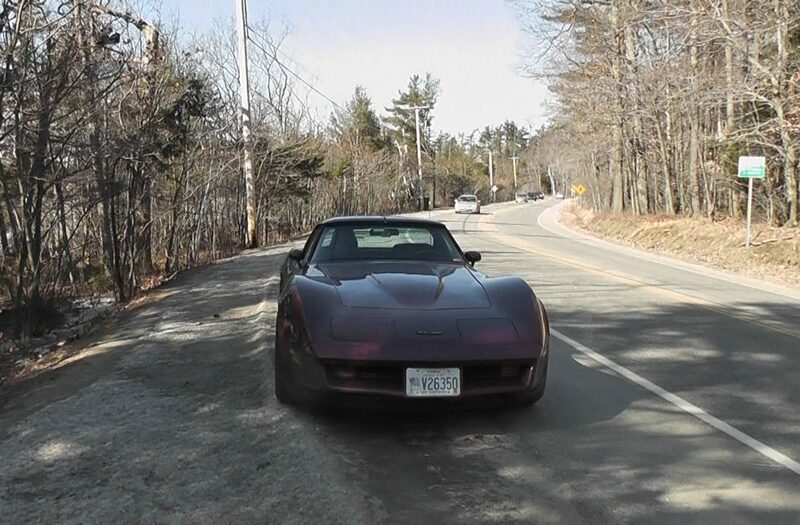 However, just like a Corvette might get you to some location faster then walking, using a VE.TT link in your paper advertising campaign can get potential customers someplace fast too – to YOU! VE.TT is the tail end (or the beginning) of a quick easy link – actually (technically) it’s just a very short hyperlink used to get you someplace on the web. We believe it’s best use is in advertising in newspapers, brochures, magazines, circulars or any printed matter. It can be used in digital advertising as well when one wants to use a really short, easy to type web address (otherwise called a URL). Nowadays, domain names have become longer. Most of the really short ones are usually either taken or extremely expensive. Our VE.TT link gives you an opportunity to use a very short domain in your brochure, paper or magazine ad to direct potential buyers right to a particular page in your website. When one types the VE.TT link into their web browser, the site visitor is redirected to exactly where you want them. So a very small ad can be used to produce really big results! Think about it – we can direct your VE.TT link to the home page of your website – or a specific page of your website – or a special landing page in your site. The term “QR code” is an abbreviation for Quick Response Code. It consists of black squares arranged in a square grid on a white background. This image can be read by an imaging device such as the camera on your smart phone. Most of us have seen QR Codes here and there. For a while, it looked like they were going to really catch on. However, QR codes require one to have an app in one’s phone to use them. They also cannot always be printed as small as the VE.TT link can be for good integration into an advertisement. Nothing extra is required for the VE.TT link to work – just a web browser one can type an address in to – which nearly all smart phones have. What is the VE.TT cost and availability? At this time, the VE.TT link service is only available as a value added service for CharlesWorks domain and website clients. What that means is there is no additional ongoing charge for our current CharlesWorks clients in good standing to use it for whom CharlesWorks handles both their domain and website hosting. Each CharlesWorks client fitting this criteria is entitled to use one VE.TT link per website hosted. While we may offer it as a standalone service to non-CharlesWorks clients for a fee at a future time, our goal is to keep it free for current web clients. While the service itself requires no cost for ongoing use by CharlesWorks web hosting clients, there is a one time $25 flat rate fee to initially set up a VE.TT link to a particular web address for you. There is no charge to disable it if you decide not to discontinue its use. Should you decide to have us change the address it goes to sometime in the future or desire to change the link based upon what links may be available, another one time $25 fee would be incurred. Pretty simple and pretty affordable! If CharlesWorks clients decide to incorporate a special landing page made in their website for the VE.TT service to point to, we can build that for you at our regular low hourly rate (billable by the minute, so if we do 27 minutes of work that results in 27/60 of an hour’s billing). Or you can feel free to build it yourself. Or you can have someone else build it and incur no extra cost from us other than the $25 one time hookup charge. Please write to Jennifer@CharlesWorks.com to indicate interest in this and for us to schedule your link activation. Domain Names – offering many hundreds of TLDs (Top Level Domains), the part of the domain after the period like .com, .net, .biz, .info, .club and so on, available in managed or self managed formats at competitive pricing starting at about $15 per year each. Website and Email Hosting – providing varying levels of email and website hosting geared toward heavy duty business oriented content management systems on our local server infrastructure competitively priced averaging $19.99 per month which includes daily automatic backups and with no contracts. Website Development – full website creation or re-creation from the design to coding (standard websites using HTML, PHP, ASP on Windows or CMS (Content Management Systems) like WordPress and Joomla and others on our Linux platforms). Search Engine Optimization – performing the infusion of the keyword strategy and search terms into your website design and coding with no fixed or inflated ongoing price increases to accomplish this. Directory Placement – providing thousands of back links from our own online CharlesWorks directories which enhance search engine placement – at no additional ongoing charges to our web clients. Quick Turnaround – completing most small website changes in about 2-4 working days and many changes completed in same working day submitted. Landing pages can be put online in 3-4 working days. Partial Hour Billing – billing work done by CharlesWorks is done at our per hour rate but billable by the minute, so an 11 minute task is billed at 11/60 of the hourly rate, not the full hour. Many tasks are small changes of this size.